Heavy Engineering Corporation Limited or "HECL" is a Public Sector Undertaking in Ranchi, Jharkhand India. HECL was established in the year 1958 as one of the largest Integrated Engineering Complex in India. Applicants who have completed 8th, 10th pass/ ITI or equivalent from a recognized Institute for HEC Recruitment 2018. 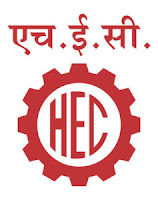 Eligible & Interested candidates can download the notification from the Official website page at www.hecltd.com HEC Recruitment 2018.